Today we bring you stylist-bookworm Kathy L. Murphy (formerly Patrick) from Texas. She shares with us her adventures in hairstyling, tiara-wearing and book sharing. Fall of 1999, I lost my dream job of being a book publisher’s representative. I was the last one hired so the first one let go when my company downsized due to the fact that the big box stores were closing my independent bookstore accounts. So after weeks of mopping around, all in my book, The Pulpwood Queens’ Tiara Wearing, Book Sharing Guide to Life, I called my sister for advice. She told me to go back to doing hair. I put myself through college being a hairstylist, but I told her I couldn’t imagine my life without books. She told me, “then open a hair salon/bookstore”, so I did. 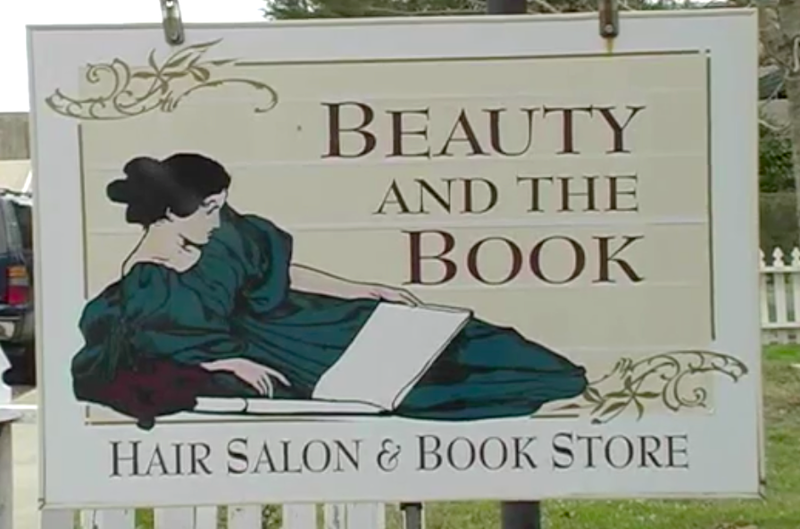 Beauty and the Book was born, January 18th, 2000 and shortly thereafter, I started my Pulpwood Queen Book Club after visiting the local book club and being told I wasn’t invited to join but to be a guest. I decided if I was ever going to be in a book club that I would enjoy, I would have to start it. 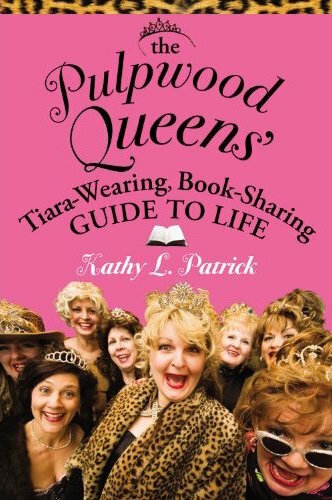 The Pulpwood Queens of East Texas began with six complete strangers and now has grown to be the largest “meeting and discussing” book club in the world with 600+ chapters nationwide and in 15 foreign countries. 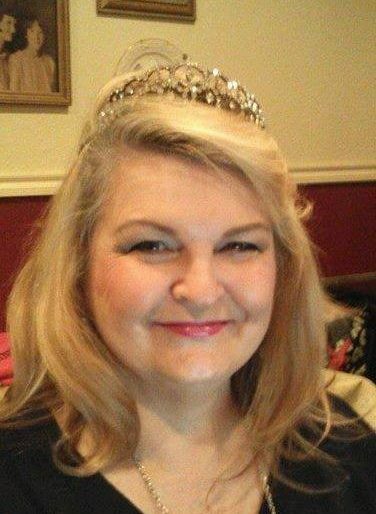 Our motto is “where Tiaras are mandatory and reading good books is the Rule!” and our sole mission is to promote authors, books, literacy and reading and helping those undiscovered authors get discovered in a big way. AND we have big time fun while we do it by having at the end of our reading year a great big literary celebration of those authors. This year we will celebrate our 15th Anniversary Girlfriend Weekend that features our past, present, and future author book club selections and ends with a Great Big Ball of Hair Ball. For the full program, see attachment below but still working on it as the final program will not be finished until event January 15 – 18, 2015, http://www.beautyandthebook.com and for the few remaining packages.We have some really big news we will be sharing at this event and truly the book loving party I would most like to go to as we have a handmade Tiara contest, themed table contest for Around the World with Books and Best Themed Costumes for both our Pulpwood Queens and Timber Guys at the ball. We also will anounce our Pulpwood Queens Books of the Year, it’s truly a participatory event for all who come including authors as besides being featured, they are to particpate in all we do including waiting tables at our Thursday night Author Dinner dressed as Airline Pilots and Airline Stewards and Stewardess! We have fun with books and isn’t that what makes the world go round, sharing our stories! 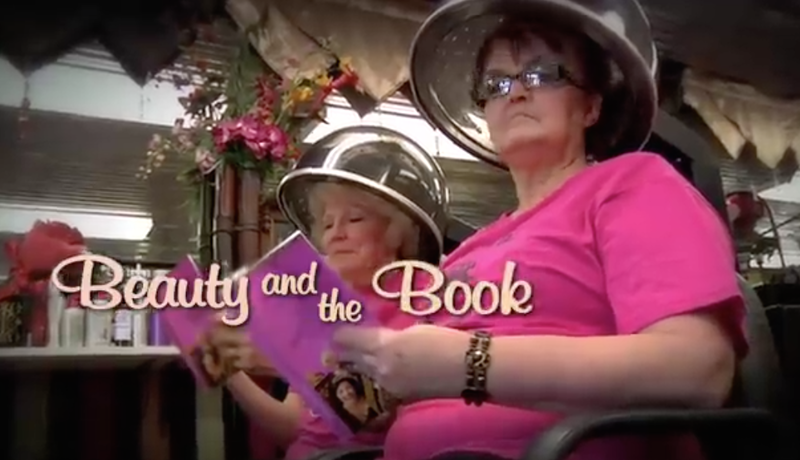 In 2011, Random House collaborated with the Pulpwood Queens on an online book club talk show called: “Beauty and the Book: Where reading is always in style“. Kathy Murphy (then Patrick) interviewed the club’s favourite authors. After the interview, the featured author was treated to some hairstyling or pedicure! I was born and raised in Eureka, Kansas, graduated in 1974 and attended Kansas State University for two years then dropped out to go to Crum’s Beauty School in Manhattan, Kansas. I have been working my way through college ever since, seven universities, from Kansas to California to Texas, so far and still haven’t graduated but a life goal. All on my Kathy L. Murphy LinkedIn page. My life motto is: be a life long learner. I love learning about all types of subjects and though a cosmetologist, I double majored in art/geology, go figure. I’m really a tomboy as I love the outdoors, camping, nature; but to me hair is art and also science, two of my favorite subjects! So d o… as Kathy Murphy is doing – be true to what you love and share that love and joy with others. 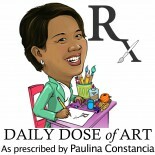 This entry was posted on November 25, 2014 by Paulina Constancia in Communicate, Connect, Unify and tagged books, inspiring communities.